In October 2015, the governments of UK and Iceland agreed to create a special Energy Task Force to look at the benefits of a subsea interconnector between the two countries. The project is referred to as IceLink. Following their work, the energy task force issued a statement on 12th July 2016, stating that their work was concluded and they would leave the decision to continue the work of the energy task force with their respective governments. The text of the statement (unsigned) can also be seen on the website of the Icelandic government. The title of the statement is “Joint statement from UK – Iceland energy task force“, and it reads as follows. The idea of an electricity interconnector between the UK and Iceland has been explored on various occasions in recent years. At a meeting between Prime Minister David Cameron and Prime Minister Sigmundur Davíð Gunnlaugsson in Reykjavík on 28 October 2015 it was agreed to explore further the possibility of an interconnector with initial discussions between the two Governments which should be concluded within six months. 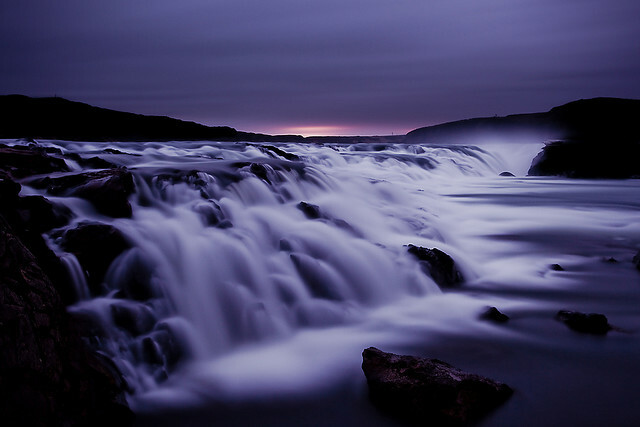 Subsequently, a UK – Iceland Energy Task Force was established to carry out the discussions. The Task Force agreed that the discussions should be an early stage exploration of the issues which will inform decisions by Ministers on the extent of further work. The proposed areas for discussion between the two Governments were identified as interconnector models, regulatory treatment, financing and general impact assessment. 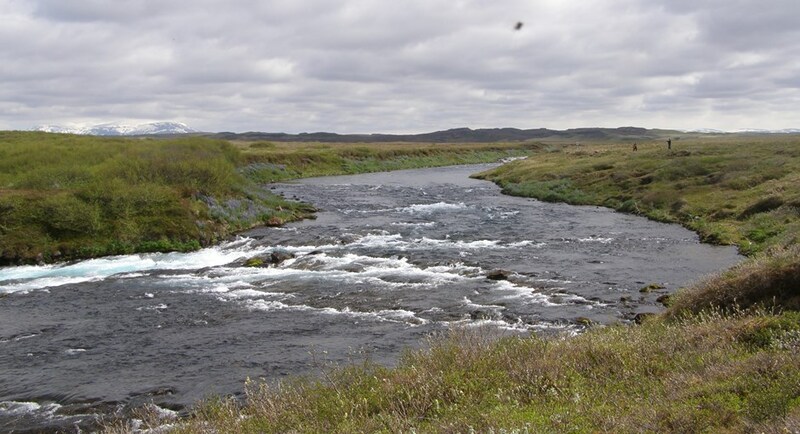 The objective of the UK – Iceland Energy Task Force was to consider whether further investigation of an interconnector between the UK and Iceland might have merit through identifying common ground between the two parties. It was a mutual understanding between the parties that the Task Force should conclude its work in May 2016. 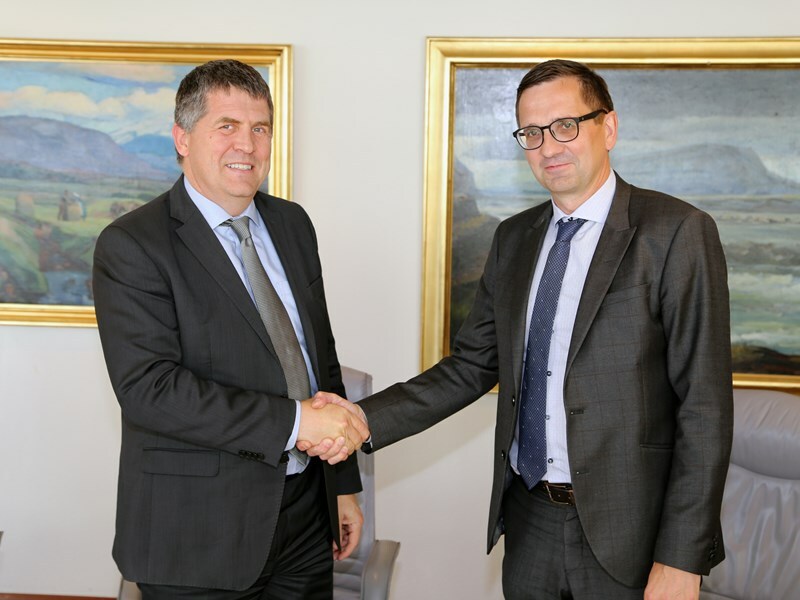 Over the course of recent months, the two parties exchanged information on work already conducted, or in progress, concerning a possible interconnector between Iceland and the UK. The UK gave presentations on the UK electricity system, UK energy policy, interconnector projects, interconnector regulatory approaches and renewable support mechanisms. Iceland presented an overview of the work streams being carried out in relation to an interconnector and an overview of the Icelandic energy sector and energy policy, along with other issues related to the concept of an interconnector. A large part of the discussions within the Task Force was on project economics, regulatory treatment and general impact assessment. 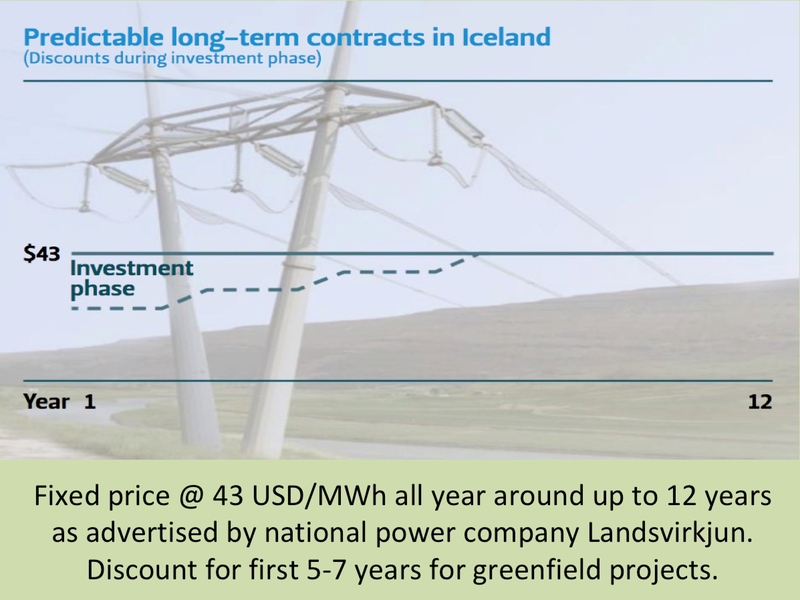 Iceland presented a recent Cost Benefit Analysis and Impact Assessment, that they had commissioned on their own behalf, on an interconnector between Iceland and the UK. The UK delegation provided valuable feedback and comments on this report. The Task Force discussed the potential mutual economic benefit for both parties in the project and the eligibility of support schemes. The Task Force acknowledged that a renewable export business model, with an appropriate support mechanism, could provide a viable business case and be compatible with a competitive market for low carbon electricity production. The interconnector‘s project costs could also be subject to an element of competition. 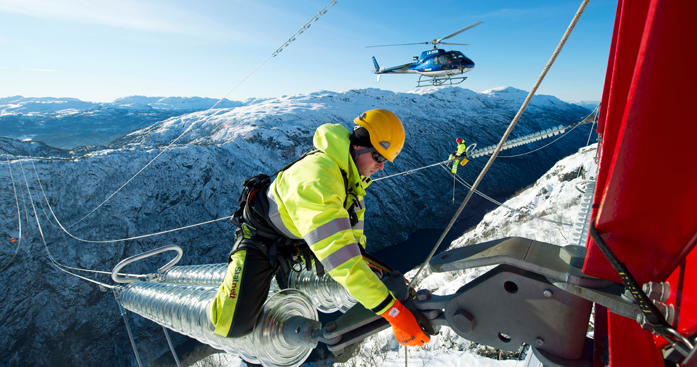 The Task Force acknowledged that the UK – Iceland interconnector concept is in many aspects different from other interconnector projects and that revised regulatory models may need to be considered as part of a further phase of work. The Task Force agreed that a decision on whether to undertake a second phase of work is outside the scope of the Task Force. However, if a decision is taken to continue with a second phase of work, this could include further government-to-government discussions and investigation into regulatory approaches, revised regulatory models and a possible joint cost-benefit analysis to better understand the project economics and assumptions. 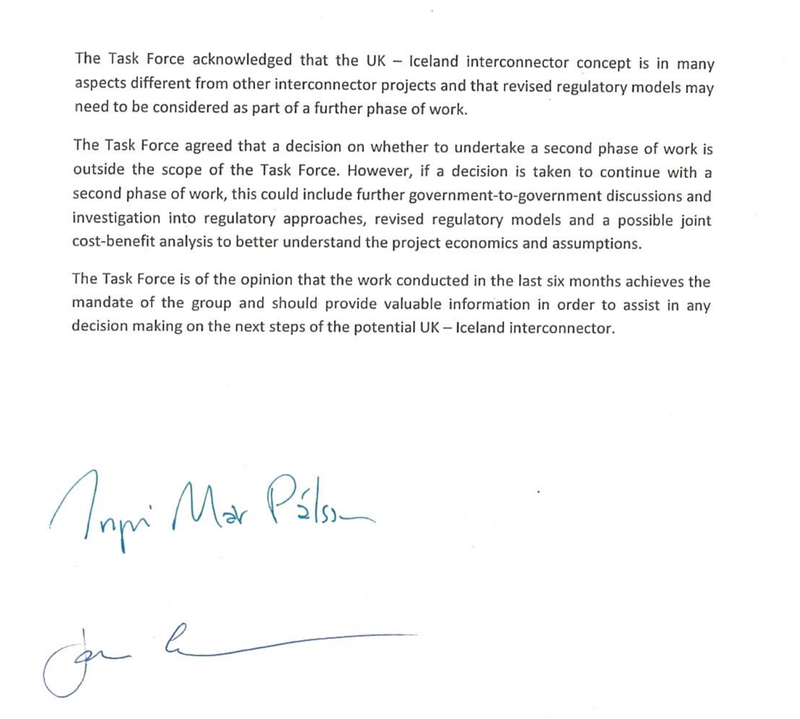 The Task Force is of the opinion that the work conducted in the last six months achieves the mandate of the group and should provide valuable information in order to assist in any decision making on the next steps of the potential UK – Iceland interconnector. NB: Iceland had general elections in October 2016, and now the country has a new government. Since then, there have been no formal talks between the governments of Iceland and UK on the IceLink cable project. This is not surprising as it is unclear what will be the energy policy of the UK after the Brexit. 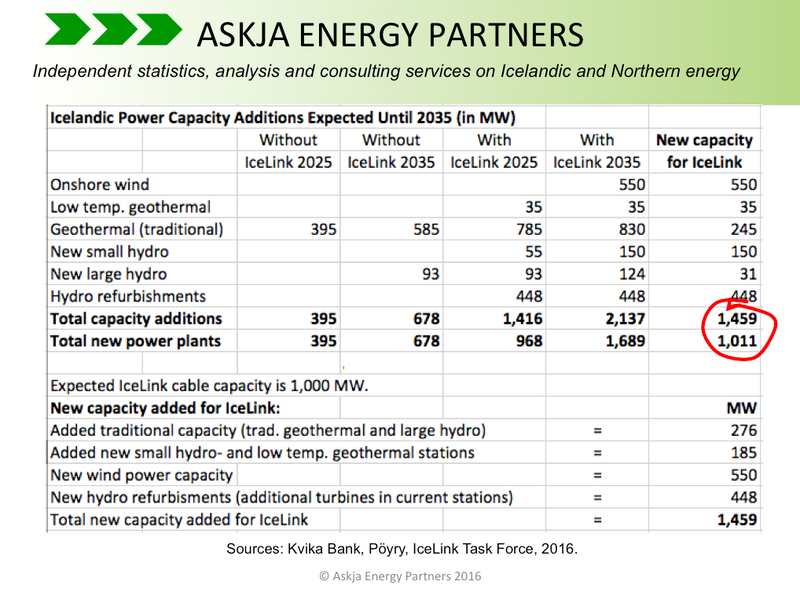 In a new report, the Institute for Energy Economics and Financial Analysis (IEEFA) introduces IceLink HVDC electric cable between Iceland and Britain as becoming operational as soon as 2027. The IEEFA conducts research and analyses on financial and economic issues related to energy and the environment. The Institute’s mission is to accelerate the transition to a diverse, sustainable and profitable energy economy and to reduce dependence on coal and other non-renewable energy resources. One of the core findings in this new report, titled Electricity-Grid Transition in the UK: As Coal-Fired Generation Recedes, Renewables and Reliable Generation Can Fill the Gap, is that the UK grid is coping well with a coal phase-out, but requires greater investment in reliable generation to back up renewable power than the country is currently making. 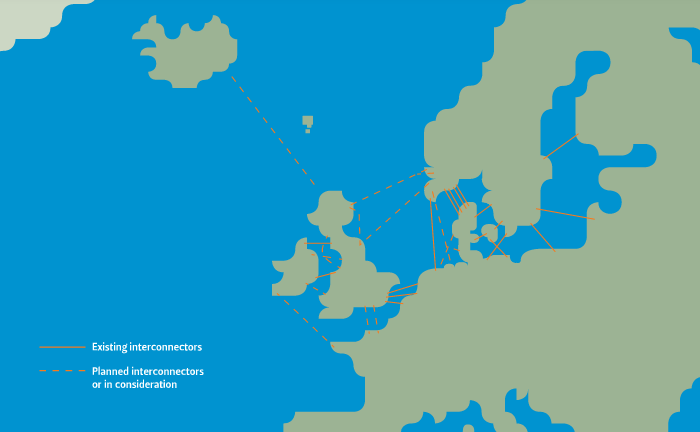 The report also explains how the UK is currently encouraging new investment in interconnectors; subsea cables linking its grid to neighbouring countries. The authors of the report claim such investment to be overdue, given present interconnection stands at 4GW, or 5% of existing generating capacity; just half the 10% benchmark proposed by the European Commission. 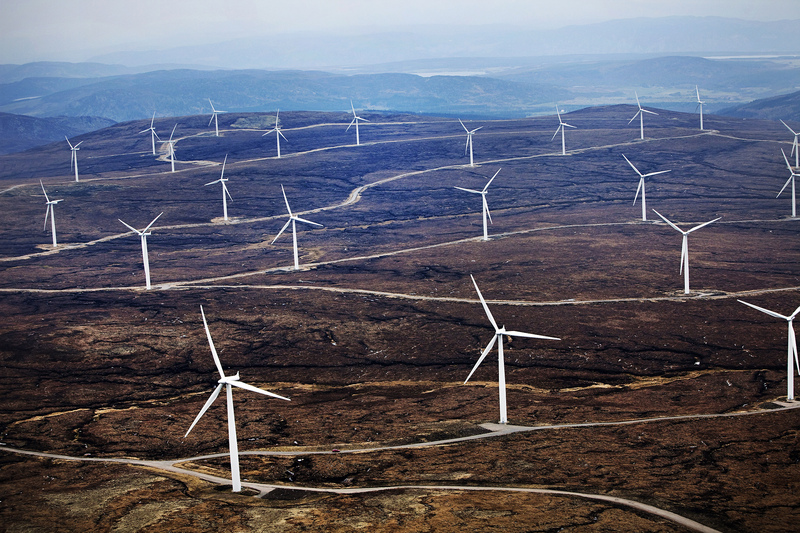 According to the report, interconnection can smooth variability in UK wind power by reaching into wider weather systems, and it can diversify generation. For example, the UK can receive electricity from hydropower stations in Norway and Iceland, where peak supply matches UK’s peak demand in winter. Also, inetrconnectors open access to various generation technologies elsewhere in continental Western Europe and to wind power in Ireland. 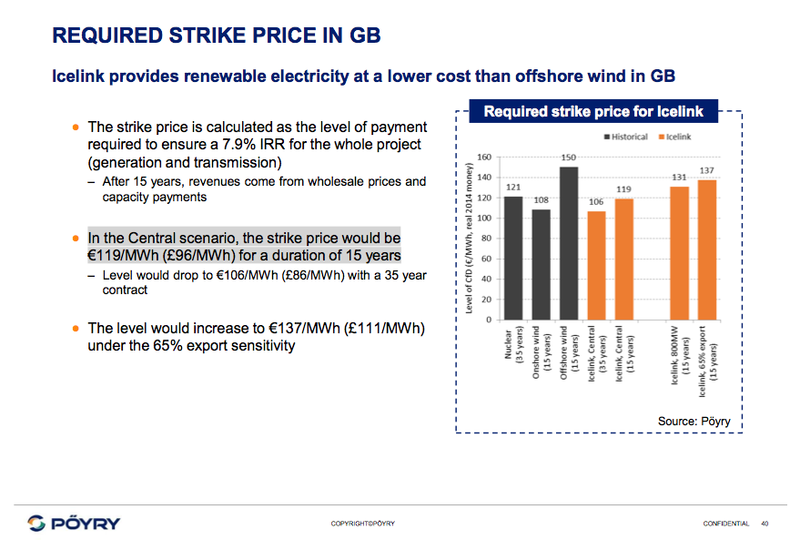 In the UK, interconnection can lead to consumer savings of GBP 1 billion annually as a result of cheaper electricity imports, rather than having to build up all the necessary capacity within the UK. 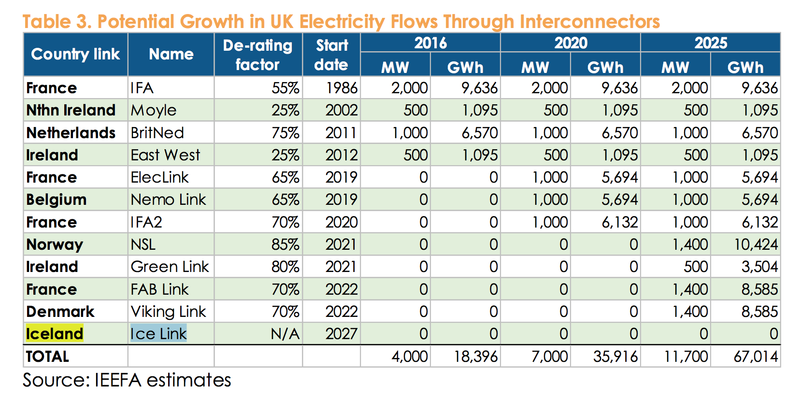 The table at left is from the said report by IEEFA, explaining how potential electricity imports through interconnectors may offer UK an additional annual supply of 49 TWh by 2025 (if all projects proceed). This would be equivalent to more than a third of UK gas generation in 2016. One of the listed interconnector-projects is the IceLink cable, which would add close to 5 TWh. According to Natinal Grid, the IceLink is planned to be a 1,000 km long subsea cable with a capacity of 1,000 MM. 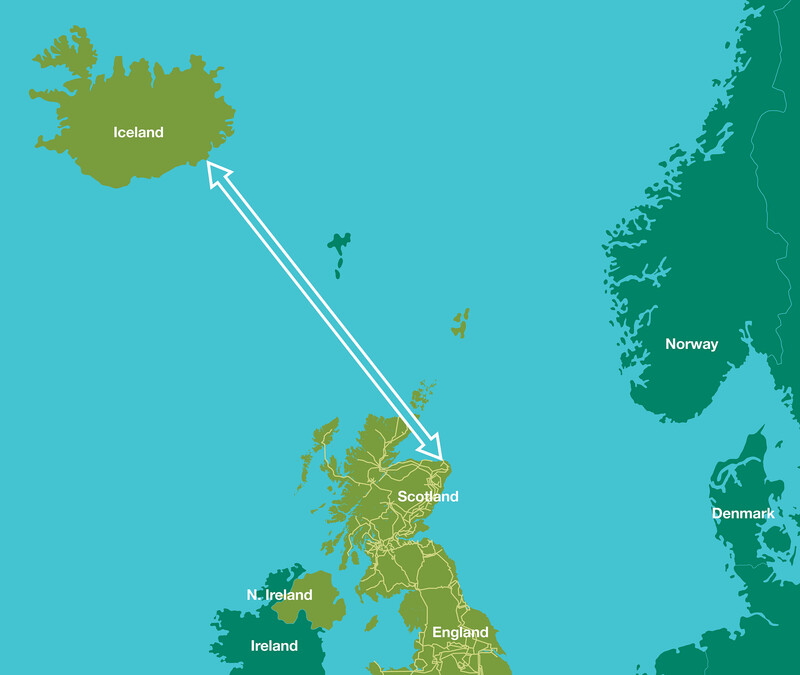 National Grid expects that the landing points for the cable will be in Northern Scotland and Southeastern Iceland. 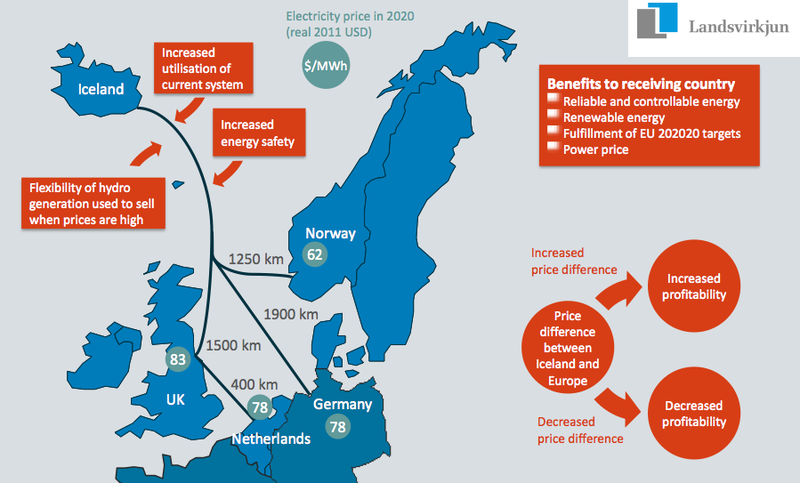 It will connect the electricity networks of Iceland and Great Britain, enabling electricity to flow in both directions and allowing electricity to be traded between the two countries. As mentioned earlier, the IceLink-project is currently projected to be finished in 2027. 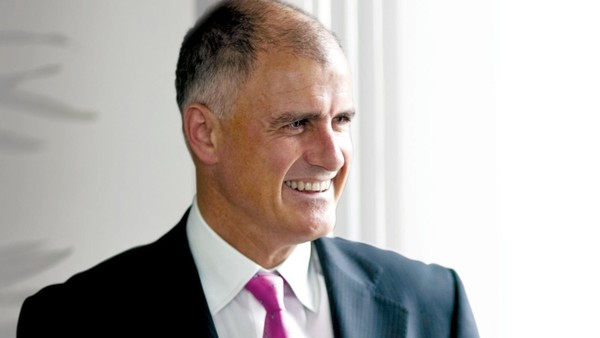 According to National Grid it will make a positive contribution to European energy-policy objectives, helping Great Britain towards a minimum 10% interconnection target, facilitating renewables integration, reducing reliance on fossil fuels, and resulting in socio-economic welfare benefits. 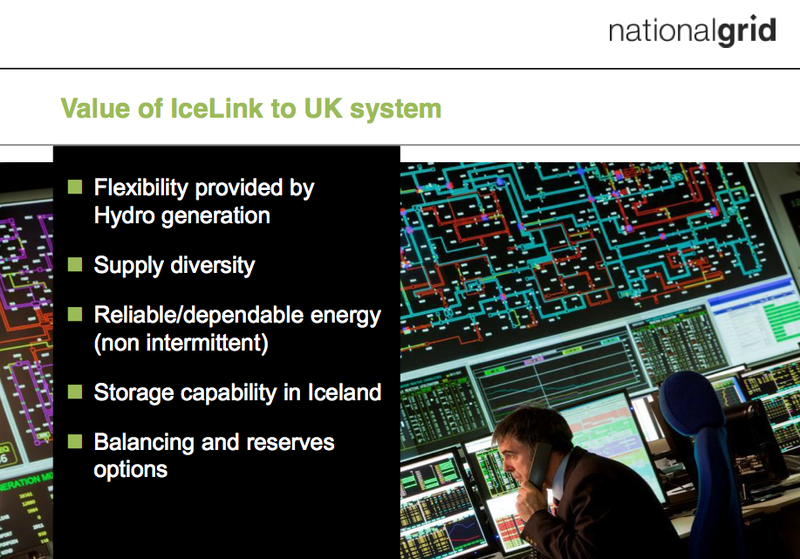 More information about IceLink can be seen on the website of Icelandic national power company Landsvirkjun. Danish energy firm DONG Energy is in the process of selling all its oil and gas business. This is part of a major strategy where DONG is to lead the way in the transformation to a sustainable energy system and to create a leading green energy company. DONG’s oil and gas business on the continental shelf of Denmark, Norway and the United Kingdom has for decades been a core part of the company. According to Henrik Poulsen, CEO of DONG, the company now aims at selling all its oil and gas fields as one package, already this year (2017). It has not been revealed who the potential buyer is. 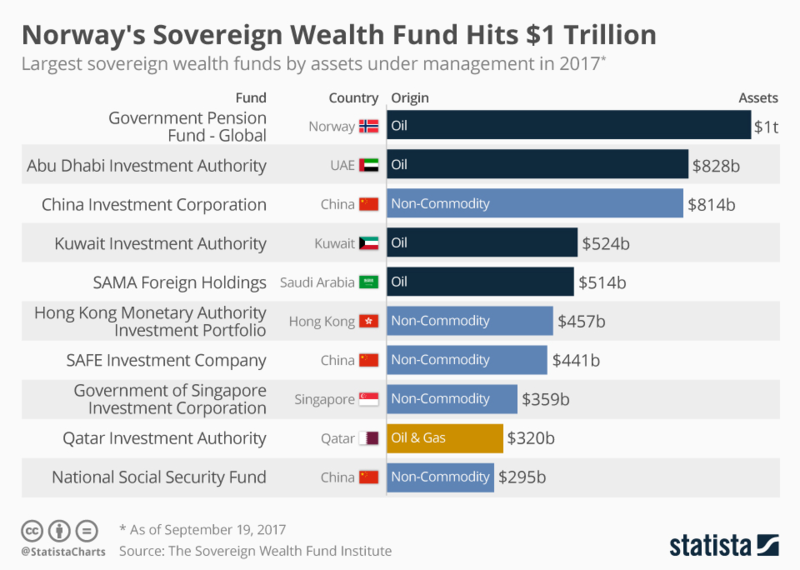 According to Danish media the most likely candidates are Maersk Oil and the US private equity fund EIG Global Energy Partners. EIG is the investor behind the company Chrysaor, which few days ago bought a variety of oil and gas fields in the North Sea from Shell. DONG is also transforming its power production, by out-phasing coal. Not long ago coal used to be the overwhelming source for DONG’s (and Denmark’s) electricity- and heat generation. 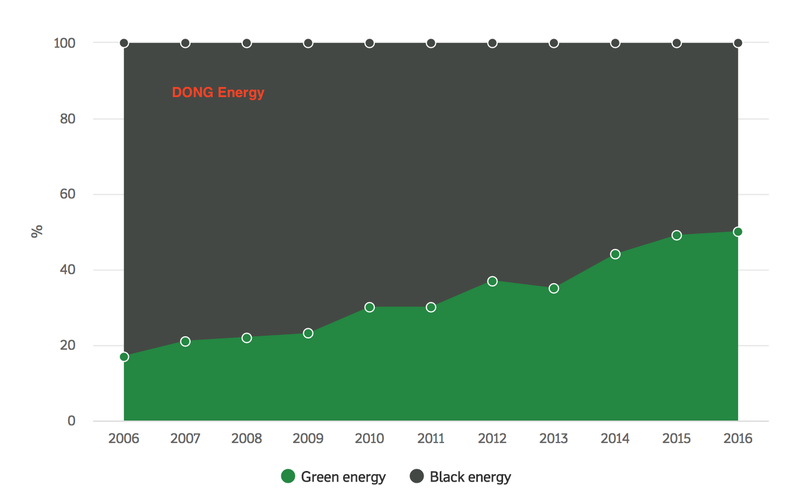 During the last ten years, DONG has reduced its coal consumption by 73% and is now aiming at phasing out coal completely from its power and heat generation by 2023. This will happen by replacing coal with sustainable biomass, at the same time as DONG will increase wind power generation. This means that in just one decade, DONG Energy will have gone from being one of the most coal-intensive utilities in Europe to being among the greenest energy companies on the continent, being able to compare it self with Norwegian Statkraft and Icelandic Landsvirkjun. 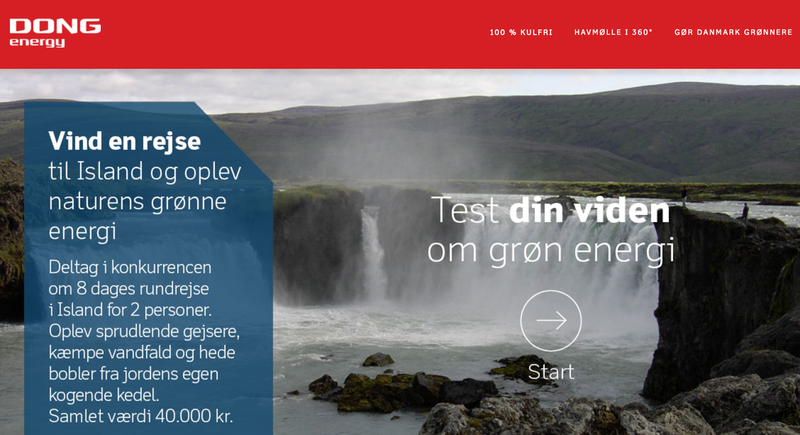 Thus it may be no surprise that DONG now has launched a competition where Danes can try out their knowledge on green energy – and the winner will be awarded a week travel trip to Iceland. 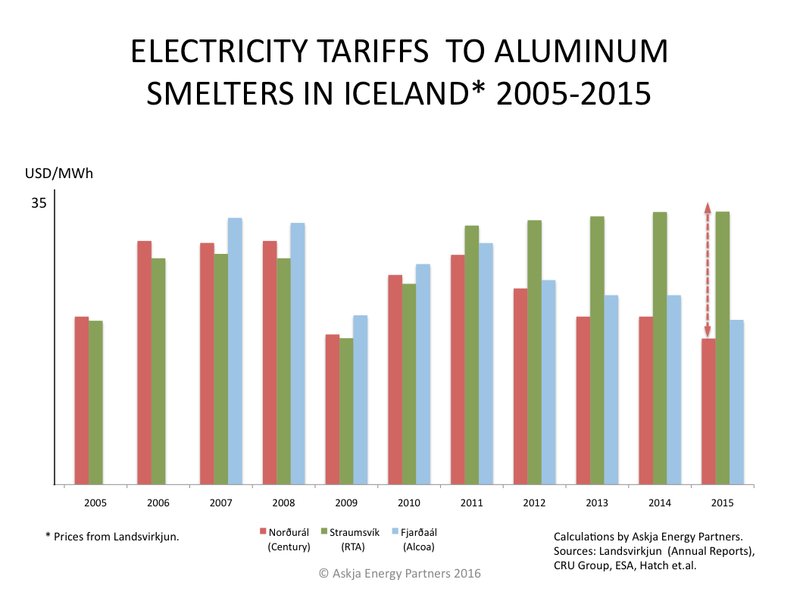 Iceland is of course the only European country fulfilling all its electricity consumption with renewable power generation. 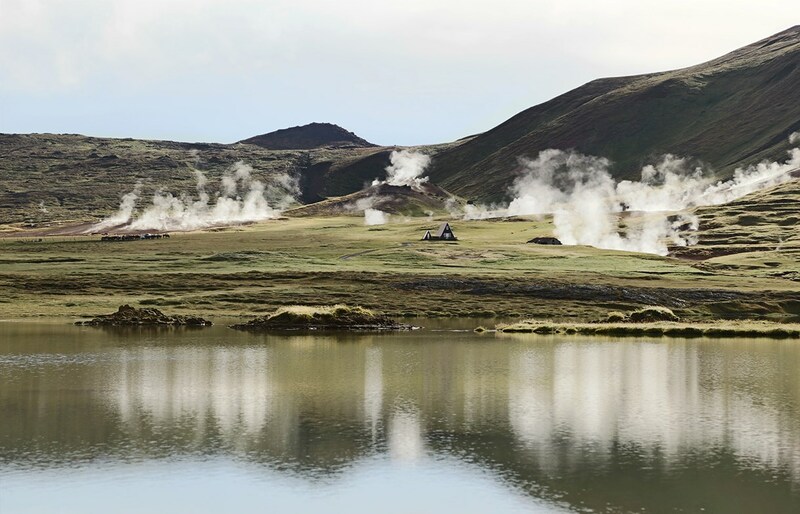 In addition, most of Iceland’s heating is supplied by utilisation geothermal sources, making Iceland the greenest energy country in Europe. Does Facebook not want truly GREEN data centers? Two years ago, we where wondering if Apple does not want truly green data centers. Now we might ask if this also applies to Facebook. Because it seems that Facebook is in fact not to keen on truly green data centers. 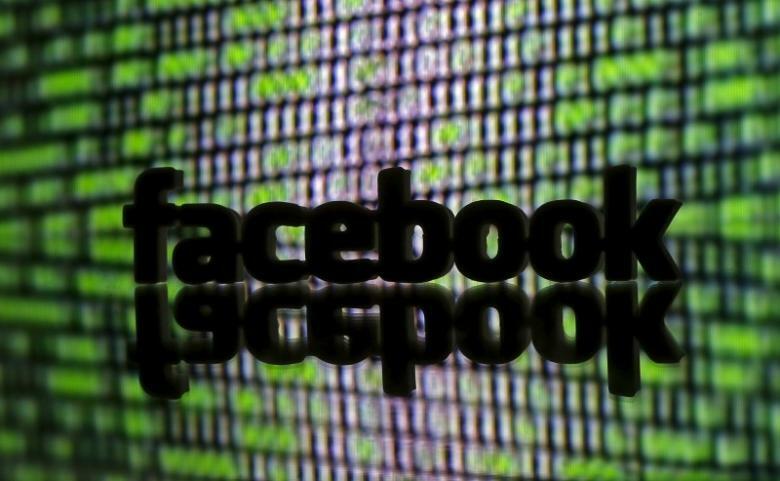 According to an announcement published in last January (2017), Facebook is going to build a new data centre in the Danish city of Odense, on the island of Funen (Fyn) west of Copenhagen. At a press conference with local authorities, the California-based tech company said this data centre to be the companies third such facility outside of USA. And Facebook’s director of data center operations, Niall McEntegart, was quoted saying that “the Odense data centre will be one of the most advanced, energy-efficient data centers in the world”. 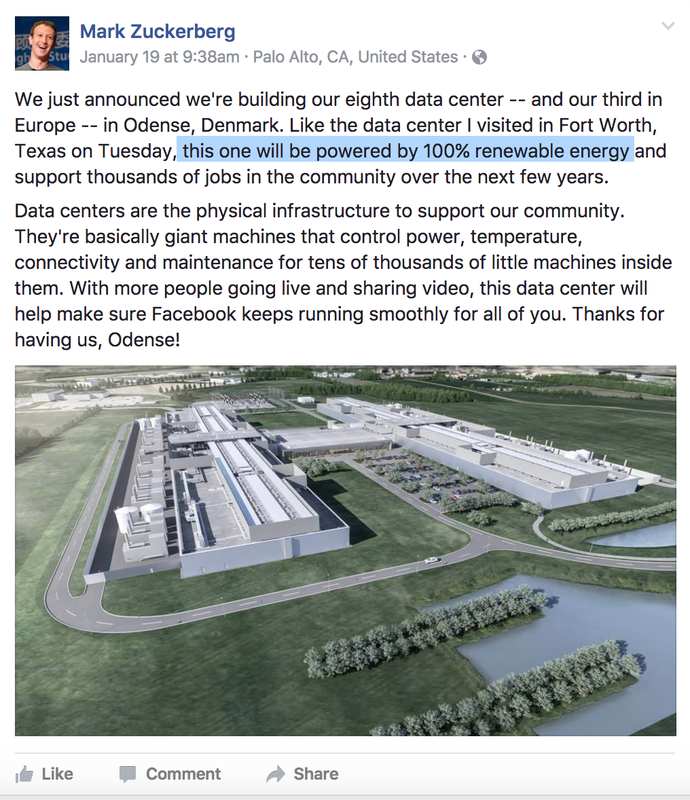 It was also stated by Facebook management that the Odense data centre will be powered exclusively by renewable energy. This is going to be an investment of more than USD 100 millions, and will provide 150 jobs when operational (in 2020). But in fact this new data centre will hardly be powered by 100% renewable energy. Surely Denmark generates substantial amount of its electricity by utilising renewable sources (mostly wind). Also, Denmark has interconnectors with major hydro power countries, like Sweden and Norway. However, the fact is that very large share of the electricity people and businesses in Denmark consume, is generated by burning fossil fuels (mostly coal). According to the most recent information from the European Union, (see table here), the renewable’s share of Denmark’s gross electricity consumption in 2014 was close to 45 percent. More recent information from the Danish transmission system operator (TSO), Energinet, tells us that the share of renewable energy in net generation of 2015 was close to 67%. 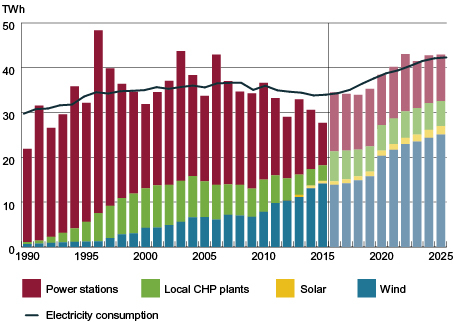 And according to Energinet, even in 2025 fossil fuels will be an important part of Denmark’s power mix (as explained on the graph at left). 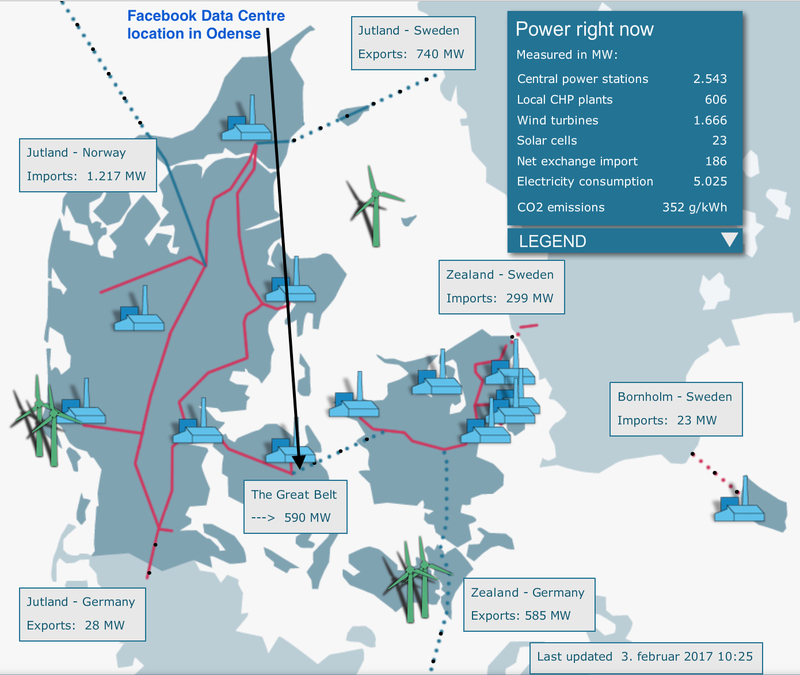 Having regard to the facts, it is hardly correct to say that a data centre located in Denmark, connected to the grid. will be run entirely on renewable energy sources only. Obviously Facebook intends to buy so-called Green Certificates, which are a tradable commodity proving that certain amount of electricity is generated using renewable energy sources only. However, this does not mean that the electricity being consumed by the buyer of the certificate is from renewable sources – it might as well be from a coal power station in Denmark or from a nuclear plant in Sweden. The result is that every data centre in Denmark, connected to the grid, will in fact be using electricity from all kinds of power plants, including for example coal power stations. If Facebook truly wants to run its data centre on 100% renewable energy, the company should connect the data centre to a grid that only delivers electricity from renewable sources. In Europe probably no grid comes as close to this as in Iceland. 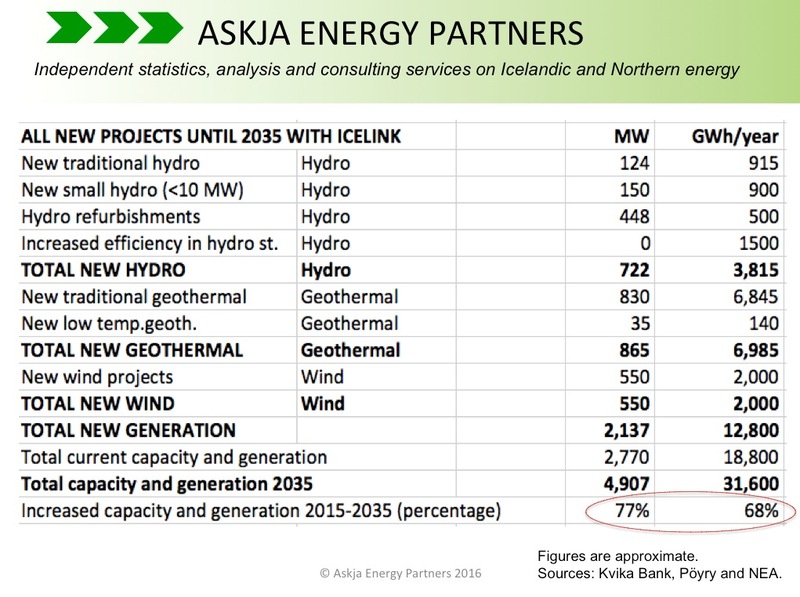 Iceland produces close to 99.9 percent of its electricity by utilising hydro- and geothermal power (and some wind power). 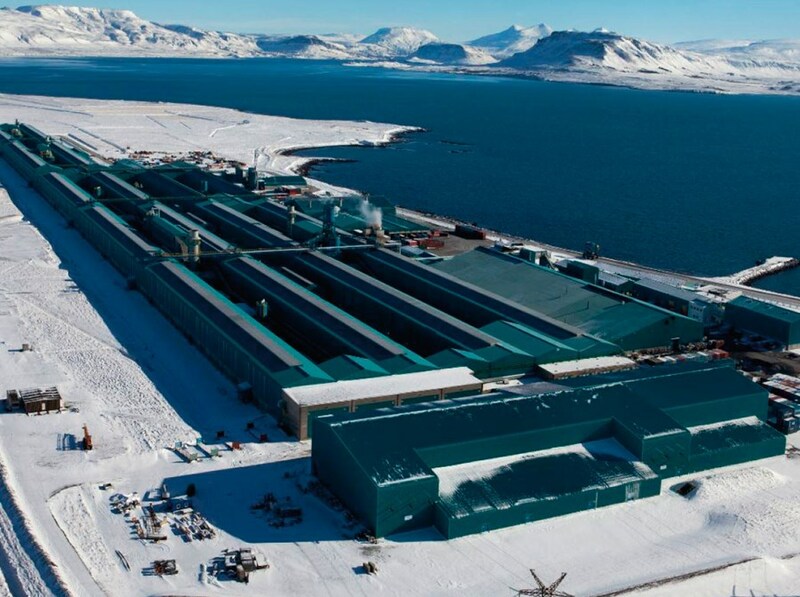 So instead of claiming its data centre in Denmark being powered by 100% renewable energy, Facebook should consider Iceland as the location for its next data centre in Europe.